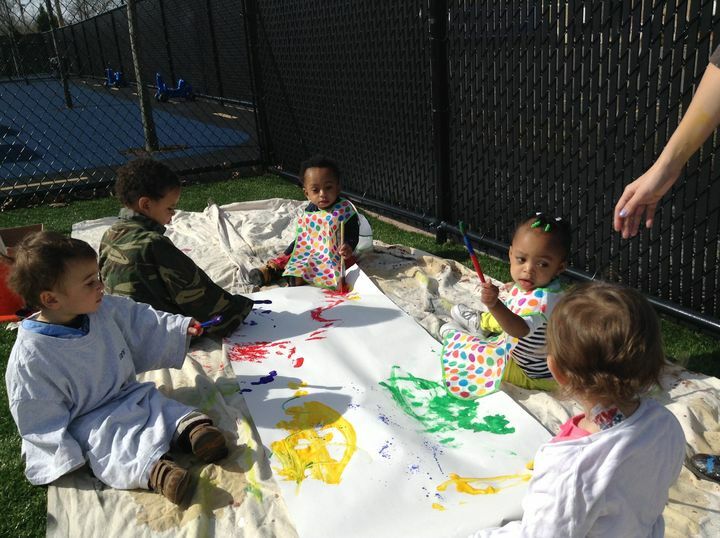 Tutor Time's Toddler program encourages children to use their bodies, senses and their emerging problem-solving skills to learn about and make sense of their world in the ways most meaningful and effective for them. Your child's teacher will be using specifically designed materials to teach, observe and record your child's learning. Teachers will choose weekly activities that build on emerging skills and introduce new concepts. 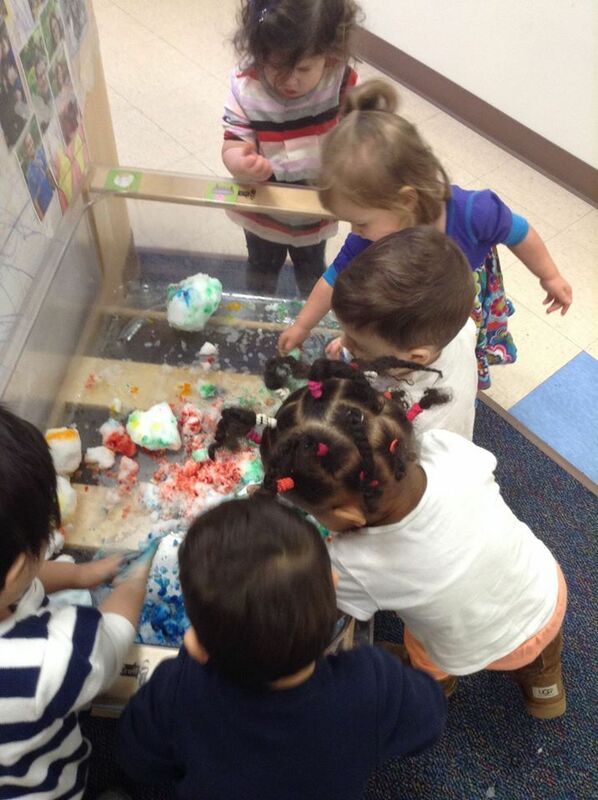 From practicing splashing water in the sensory table during Learning Center Time to the daily exploration of Small Group Experiences, we balance individual attention with group experiences and ensure that your toddler is using all that energy in productive ways. Our teachers learn about your child's interests and developmental level to design activities that will engage and inspire your child. From exploring a variety of art materials to putting on a puppet show of your child's favorite story, he will experience activities that will engage his natural curiosity and creativity. Whether it's dancing to a familiar beat or pouring cereal, our teachers give toddlers plenty of opportunities to investigate, explore, discover and play in a safe, secure, yet stimulating environment. 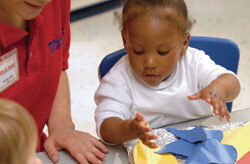 Our unique blend of education and care meets emotional needs while promoting good social skills and learning. And in accordance with our Tutor Time® LifeSmart™ curriculum, new concepts are introduced when your child is ready, not on a set timeline. "Ms Chelsea is attentive to each child's individual needs and development. Her smile is contagious, as the Toddlers smile right back!" "Ms Michelle has a warm and gentile personality n the classroom. 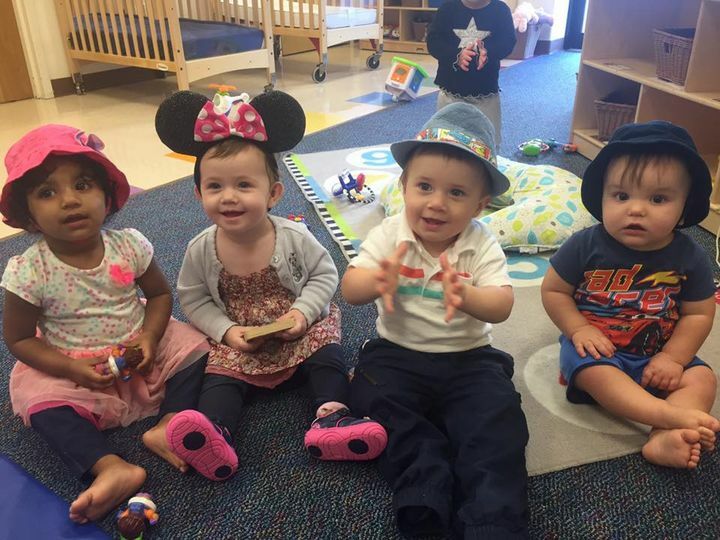 The Toddlers are very responsive and happy to be with her." "Ms Faith is very dedicated to provided exceptional care. She always puts her best foot forward to ensure a safe and happy classroom!" 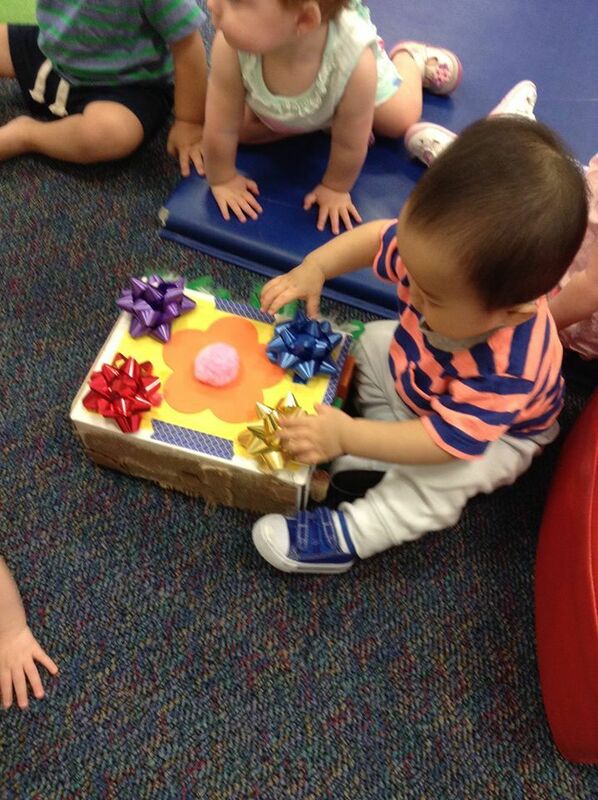 "Ms Jackie is very caring, kind and engaged with her little toddlers. Jackie is very conscientious of the needs of the toddlers." 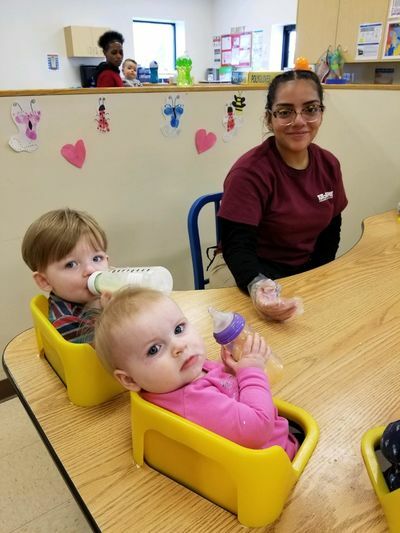 "Ms Jennifer is one of our most organized teacher in the center; which is needed when transitioning infants into her toddler program. Besides her amazing record keeping, her creative lesson plans are designed around each toddler's needs and emerging skills. Jennifer is fun, happy and nurturing. " 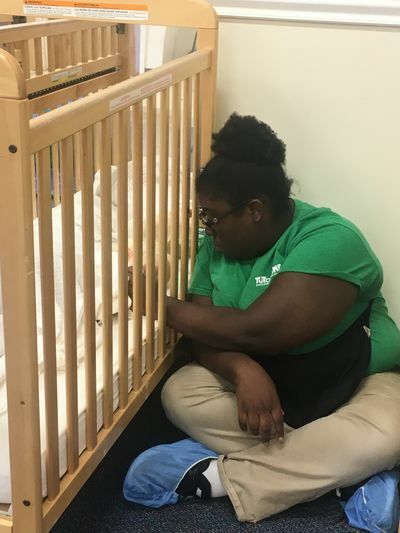 "Ms Christina is involved in all aspects of the Toddler Plum Room from creating activities, assisting in lesson plan implementation and assessing and evaluating the needs of the toddlers in her care. She has a big smile and loves how toddlers respond to her." "Ms Stephanie is fluent in Spanish and incorporates her first language in the Toddler curriculum. Stephanie is warm, kind and is very patient." "Ms Asia is very engaging with all the children throughout the day. You will always find her at the children's level, smiling and laughing with them." "Ms Shianne loves to read to the children throughout the day. The little toddlers love to hear her stories."